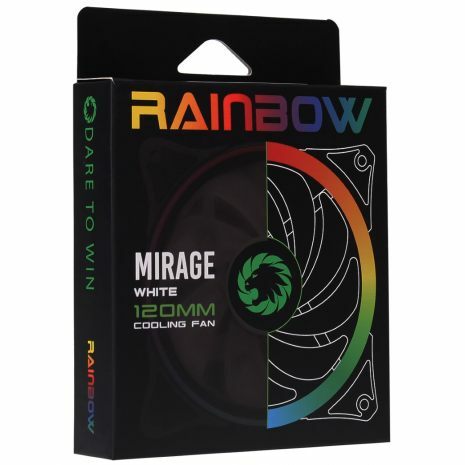 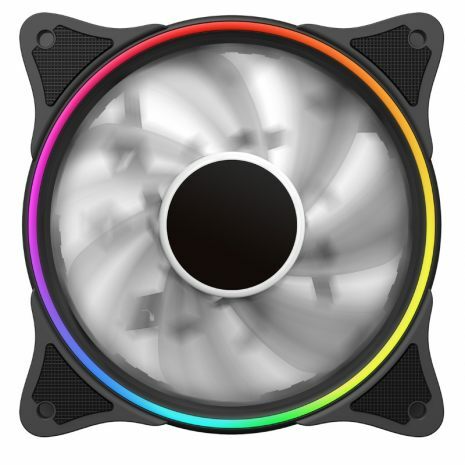 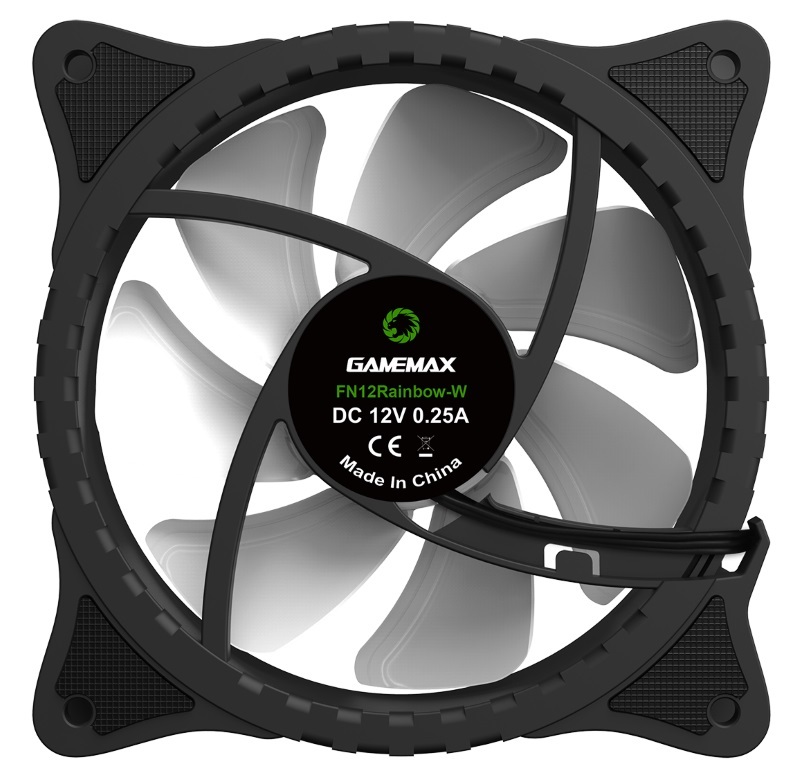 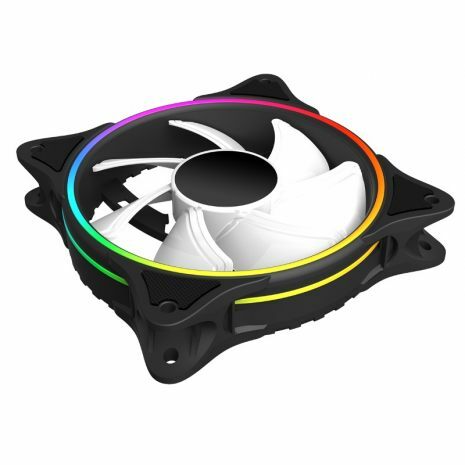 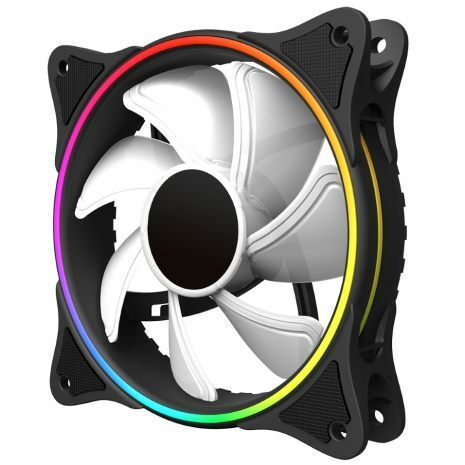 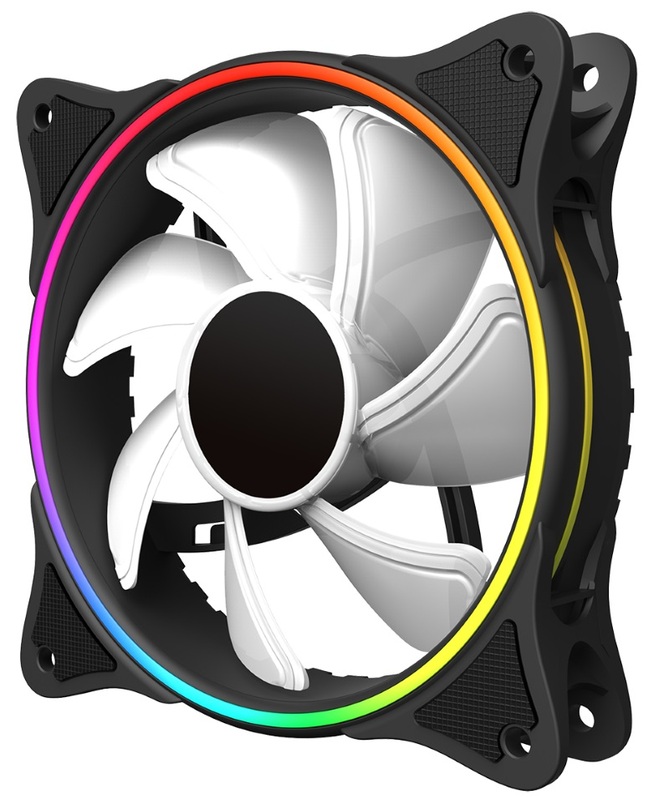 Brand new for 2019 Game Max are proud to introduce the Game Max Mirage Rainbow Dual-Ring 12cm Fan with white fins, it is an hydraulic bearing silent fan allowing for a quiet operation during use with a noise level of approx. 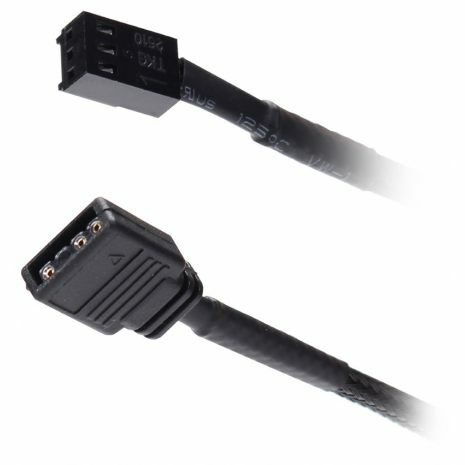 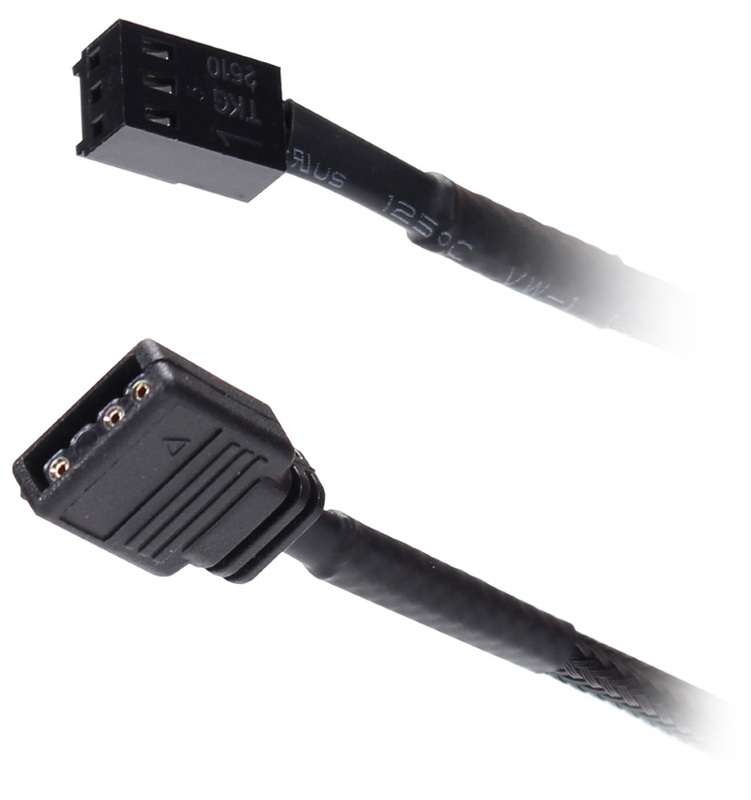 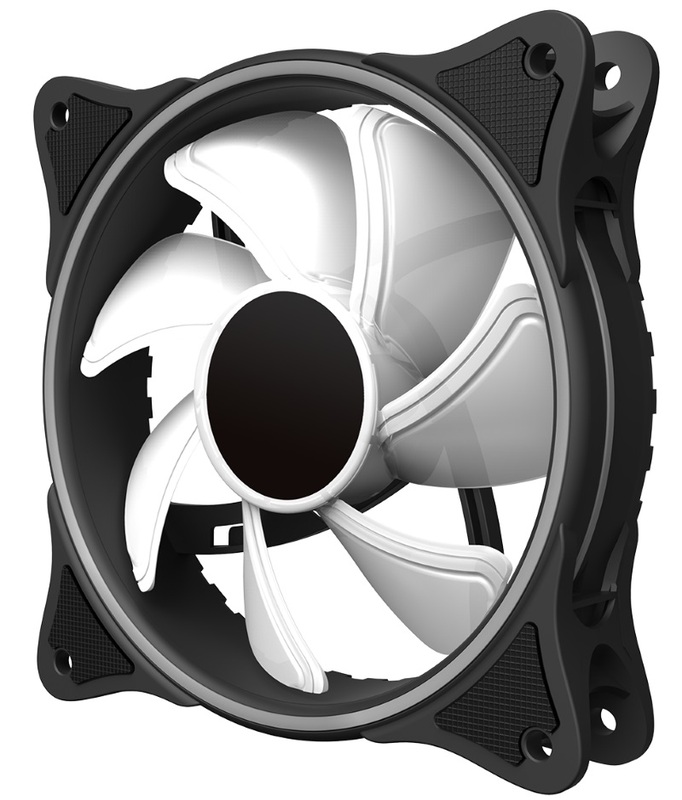 25dB(A), it comes with a 5V Addressable 3pin AURA connector and the fan is powered by a 3pin power connector. It comes with various lighting effects when it is synced using an AURA connector, creating a unique look. 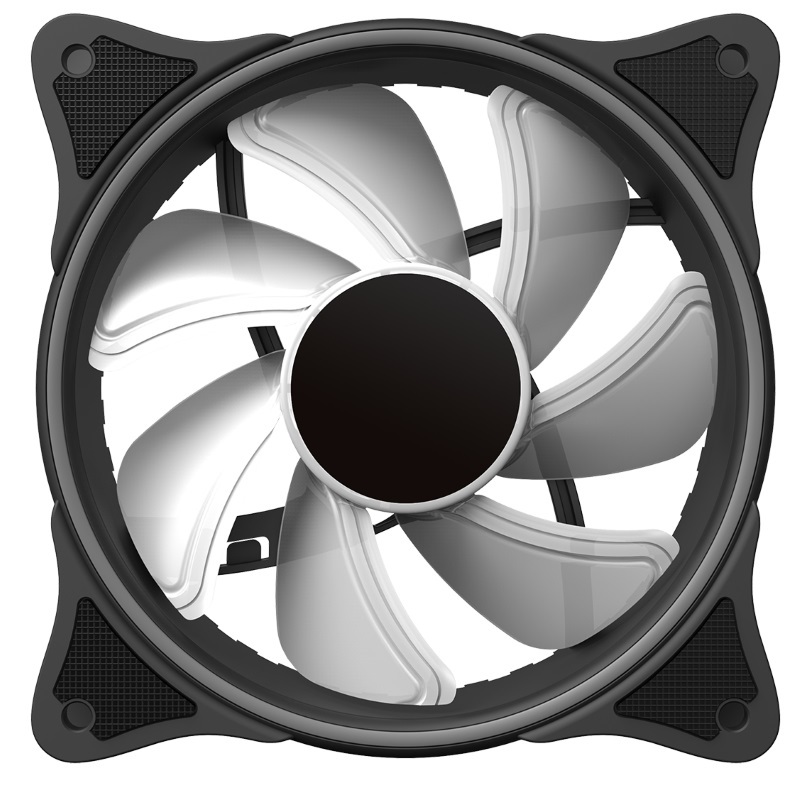 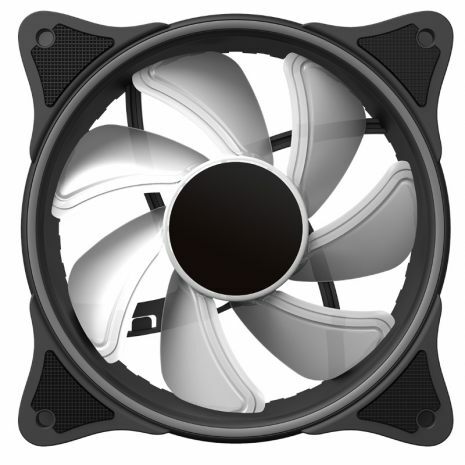 The rubber gasket increases the reduction of vibration from the fans movement. 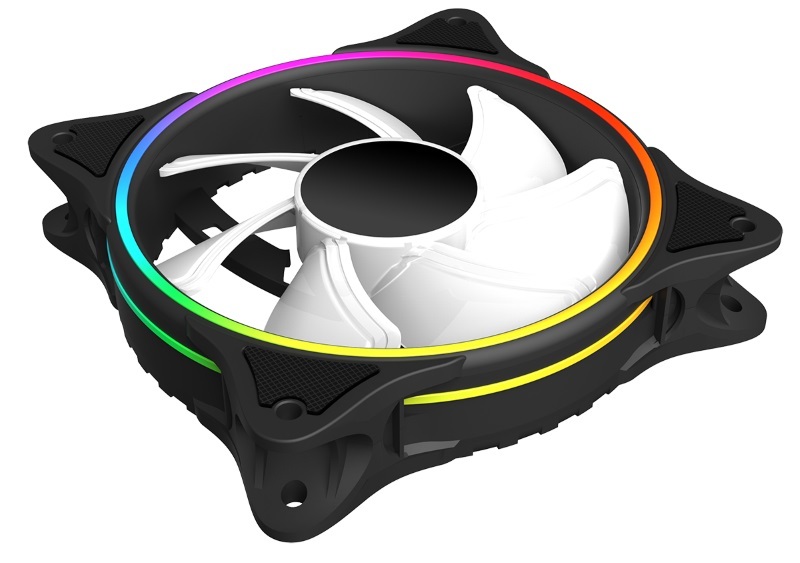 With the ever increasing need for the cooling of computer components, due to the increased performance, the Mirage gives users an affordable solution, the built in LEDs allow you with the customisation of your computer system via AURA SYNC or HUB controller. 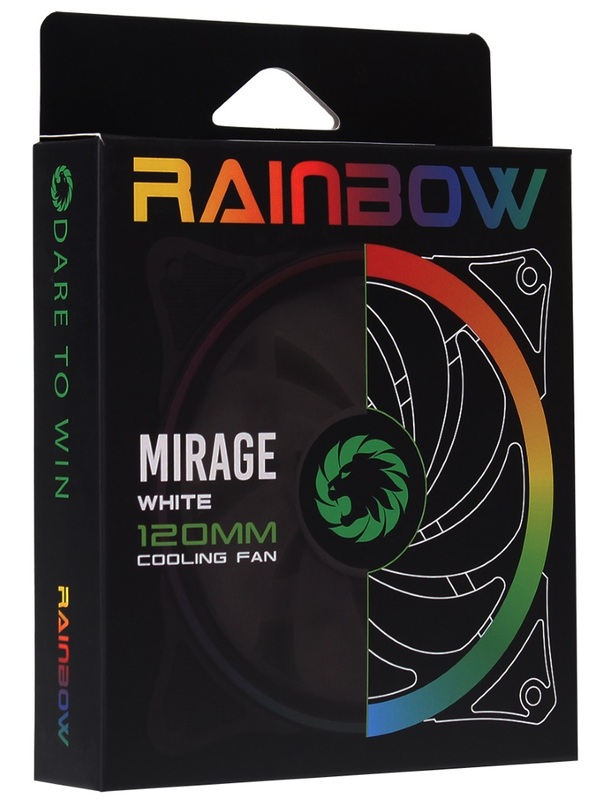 The Mirage is an ideal upgrade to help cool various components within your computer, simply attach to a suitable CPU cooler to the chassis or to replace the fans on your water-cooling radiator. 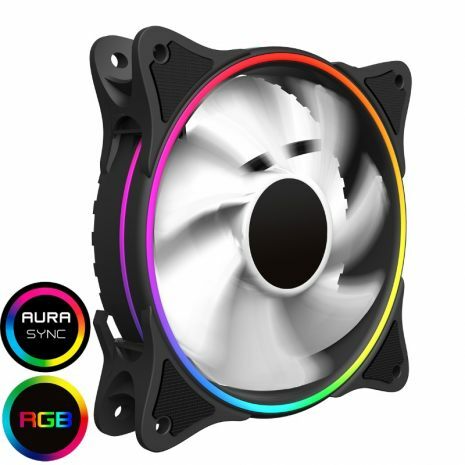 AURA Sync Ready - With the convenience of addressable rainbow LEDs of AURA sync, you can control RGB LED solutions to customise your computer lighting from other supported peripherals, such as RGB CPU/System Coolers, Memory Modules, Cases, HDDs, Keyboards, Mice, Mouse Pads, Headsets and LED Strips. Extra Support - As well as being able to connect to your motherboard you have support with a hub to give you manual control. 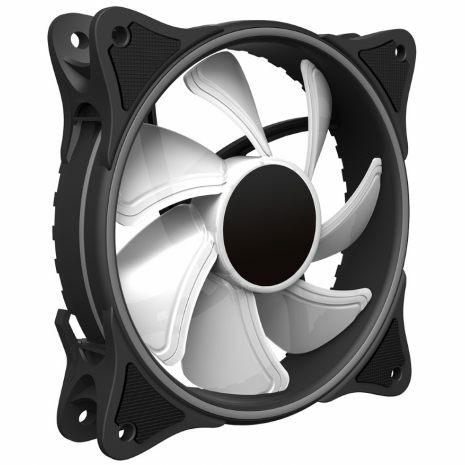 Anti-Vibration Frame - Rubber frame helps absorb fan vibration and keep the overall noise down to a minimum.